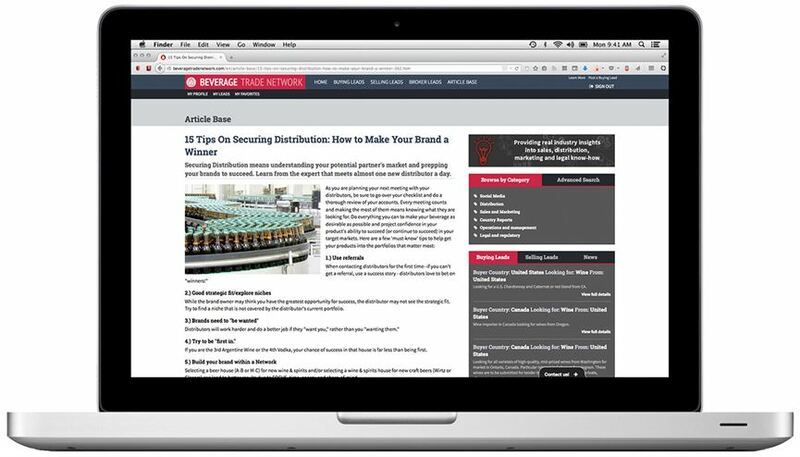 Grow your distribution by connecting with buyers, building your broker representation network, educating yourself with BTN Article base and promoting your brands in front of importers and distributors. Grow Your Network By Connecting With Brokers. 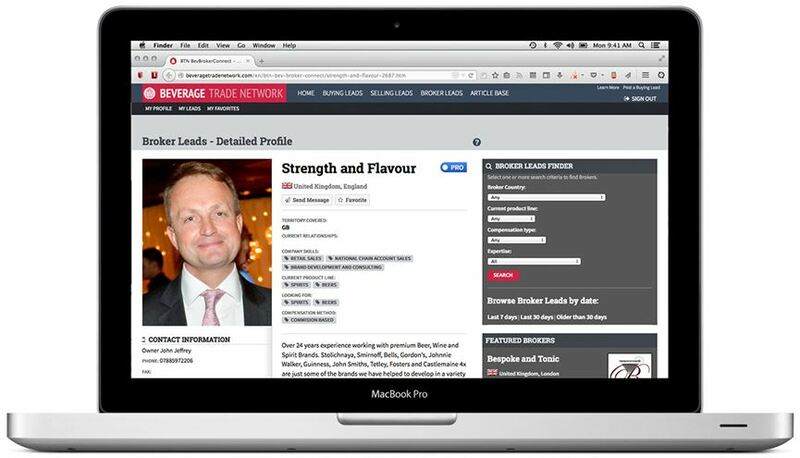 Access to all Broker Leads on BTN. 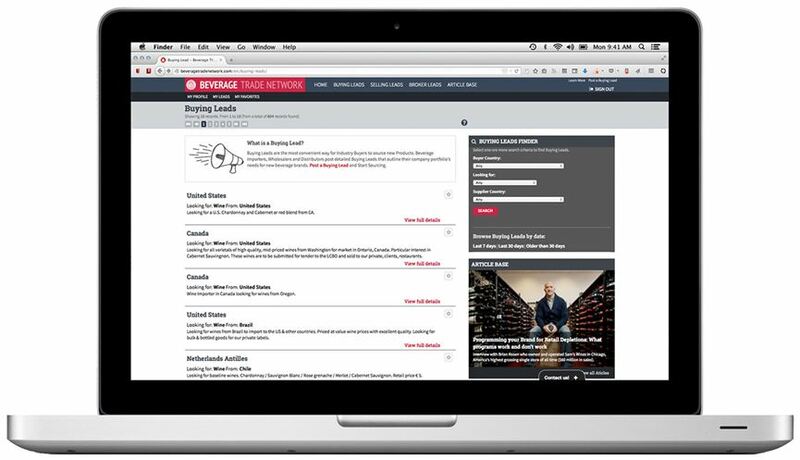 Broker Leads is a directory listing of Wine Brokers, Spirits Brokers and Beer Brokers. BTN Premium members will be able to view all the contact information about Brokers and contact them directly. 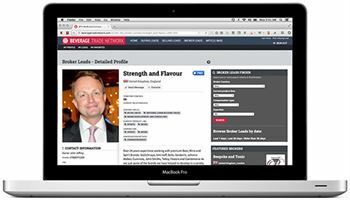 When importers and distributors search for new brands, brands of BTN Premium members will have better chances to appear at the top of search results. This gives your products maximum exposure and significantly increases the likelihood of you receiving a distribution inquiry from a importer or a distributor. BTN will also post your brands as Selling Leads, manage them and promote them on leading social media networks. BTN Premium gives you full access to all Buying Leads. 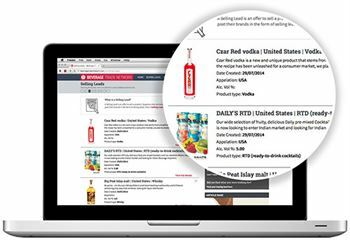 Buying Leads are buying requirements that are posted by licensed importers and distributors them selves. Each Buying Lead is verified by BTN. Browse our Article base to find informative articles on the Beverage Industry. Reserved for BTN Premium Members, our premium articles are in depth studies on Marketing, Distribution, and Sales but we have a large selection of free content. Source. Connect. Grow. Tools To Grow Your Beverage Business. We expanded our distribution in six states in USA in just 6 months, thanks to BTN. Wow, wow, wow. You rock BTN.